Thank you to Peta from Growing Against Violence (G.A.V) for delivering a thought-provoking workshop on Tuesday morning. This session taught pupils refusal skills and built awareness of negative peer pressure. Emphasis was placed on the differences between being “friends” and being “friendly”. We looked at how certain “friends”, especially those in negative peer groups like gangs, are nothing of the sort and will only attract trouble. 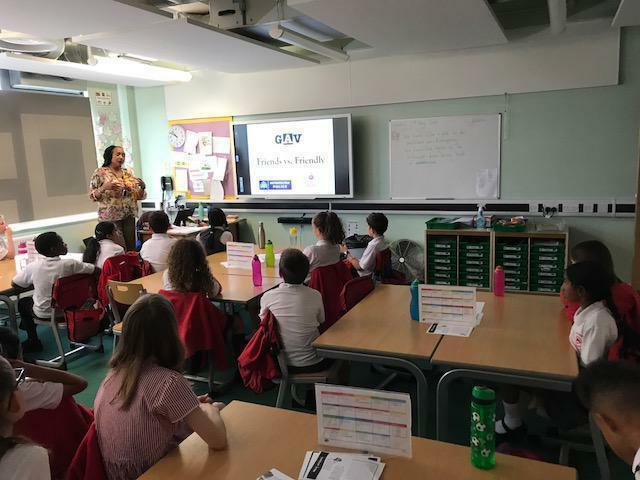 The aim of the workshop was to help pupils to read the signs of gang membership, recognise how gangs recruit and understand the manipulative and coercive nature of gangs and gang members. This session also highlighted what gangs are really about and how they exploit young people and put them and their families at risk.